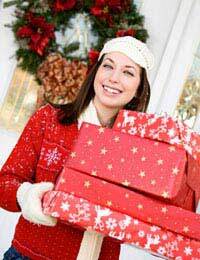 It’s not exactly a secret - the holiday season is one of the most expensive periods of the year. A tree, decorations, lights, a family’s worth of special food and drink…just these expenses will already run up a considerable bill. And that’s not even including the biggest cost of them all: Christmas gifts. There is absolutely no reason to spend hundreds – or even thousands - of pounds on Christmas gifts, though. When shopping for presents there is only one rule to keep in mind; the gift needs to suit the person you are buying it for. A thoughtful present is more special than an expensive one – no matter what movies and other media try to tell (or sell) you. There are many ways to keep the cost of your Christmas shopping down. The best trick of them all is to start buying your gifts early in the year – don’t wait for the Christmas craze to rage, as prices will invariably go up. Also, you’ll buy more original presents when you actually have time to think about the person you’re buying them for, rather than when you’re working your way through a seemingly never-ending list. Face it: when you’re buying twenty gifts in one day, you’re more likely to throw in a £40 wallet or a purple tie that even you don’t particularly like. Hint: neither will the recipient. Keep your eye open for bargains, too. If for instance you want to buy a nice piece of clothing for someone, then search the newspapers, magazines and the internet for information on sample sales - you’ll save up to 75% at these “private sales”. And go to liquidation sales at stores that are closing down their operations; you’d be amazed at how much good stuff still fills the racks. Are they totally into coffee, or more fond of tea? Do they like pistachio nuts? Are they likely to open a bottle of wine with dinner, or are they more the beer-loving kind? Or more into hikes in the country (a map of walking routes)? Does he prefer a rugged look (a funky hat)? Once you’ve decided what you want to put in there, go and pick up a cheap basket (it doesn’t need to be made of wicker, by the way), buy a couple of products (set a limit to your budget and stick to it! ), neatly arrange them in the basket, wrap the whole in some clear foil or tie a ribbon around it - and you’re all set! Get ready to see some very happy faces! For some great ideas for a budding cook at christmas, check out our cooks' gadgets guide.